Let me start by saying that Willnot was not the book I was expecting to read. The promo blurb suggests a certain kind of deep southern noir which it turns out not to quite be. Now, that’s not to say that it’s not a good book – it certainly is that. Sallis introduces us to the town of Willnot and its resident physician, Dr Lamar Hale as a grim discovery is made on the outskirts of the town. However, the book is more concerned with the impact that these bodies have on the inhabitants of the town over the course of the following months. 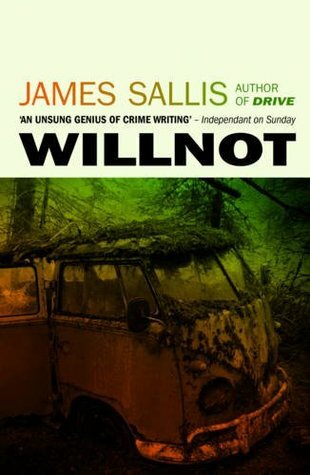 Willnot is a character-driven piece of literary fiction rather than being a more regular crime procedural, and Sallis is a master at showing character. Lamar and his partner Richard form the backbone to the novel as the events unfurl around them. Their relationship is charming and warm, and they are surrounded by a splendid array of sometimes eccentric characters who just exude authenticity. At times through the novel I was unsure of where Sallis was taking me. As I said above, I was expecting more of a whodunnit noir, but instead just enjoyed the ride, watching the people go past. Willnot is a short novel, but a perfectly formed one.